I said that I wanted to write about something real and I knew people who had died but I did not know any people who had been killed, except Edward's father from school, Mr. Paulson, and that was a gliding accident, not a murder, and I didn't really know him. 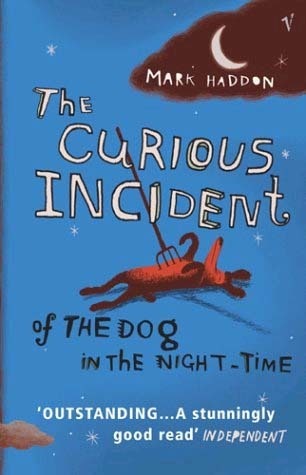 - page 6 The Curious Incident of the Dog in the Night-time by Mark Haddon. I bought this book today which is why that quote is very near the start. I'm really liking it so far. New Follower here, thanks for stopping by my TT! Nice teaser! I haven't heard of this one before. I hope you enjoy it. Thanks for sharing! oh I adore this book!